Home » Business Environment » What is the future of global connectivity? 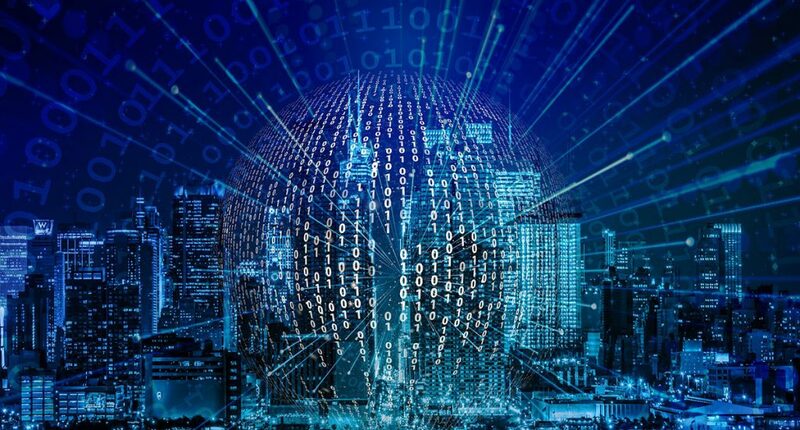 The future of global connectivity – is the second in a series of articles I’m writing titled Future Questions. In an uncertain world it’s no use just relying on just one plan or one set of assumptions. If you’re interested in building resilience, there’s a lot to be learnt by exploring what we don’t know and that’s what the Future Questions series is about. As this article demonstrates, when we look at the world from a different perspective, even what we think is certain to happen becomes increasingly doubtful. In my future thinking workshops, I start out by asking everyone what they’re really certain will happen in the future. And I mean really certain.Those trends and events that they’re really, really, rock-solid sure, will most definitely happen. Generally, we start off with quite a short list of certainties, usually about six to ten ‘super-sure certainties’. Typically, we’ll have trends like ‘ageing populations’. But the one that’s usually top of the list is connectivity. Everyone assumes that global connectivity and the ‘Internet of Things’ will always be there and it’s a really common view to think that connectivity will go hyper in the coming years and extend into new dimensions of our lives, especially if we think about the emerging technology breakthroughs such as post-digital computing. It’s a really popular viewpoint so it must be right? OK? Just try searching for the future of connectivity and you’ll see a similar outlook. But to accept what everyone thinks is a certainty is to fail at the first hurdle of future thinking and therefore strategy creation. Be very careful about what you think is a future certainty and be sure to rigorously test your assumptions by getting as wide a range of viewpoints as you possibly can. Remember what I’ve learnt in life, and that’s the key to success in an uncertain world is the ability to think differently from everyone else. And that’s the purpose of this briefing – to help you challenge the assumption that the world will become increasingly hyper-connected. Don’t get me wrong, the emerging technology is there to make this happen, from 5G through to low orbit satellites and neuromorphic chips that can emulate characteristics of the human brain. All this could very well happen if the global environment is receptive to this coming metamorphosis. But uncertainty creeps in when we think about the future environment that these technological developments will work in. And that’s the key point. The future global environment is far from certain and there are clear early warnings that a new future world might not be as technology friendly as we would like to think. I’ve collected a few of the alternative signposts or viewpoints here for you to consider here. There are more, but these I hope will provide you with a starting point. Many deal with hard issues such as conflict, which we may not usually consider in our strategy workshops, but we must consider these tough issues if we are going to develop a pluralistic view of the future. Just basing our strategy on the same views as everyone else is risky. Developing a pluralistic or multi-dimensional view of the future is really so important as it will give you the ability to develop a range of strategic options. And having strategic options in a world that’s difficult to predict must be the cornerstone of success. Too powerful for their own good? The argument here is that technology and social media corporations have got so much power that they’re making the other global power players, and I’m referring to nation states, just a little too uncomfortable. An early warning was President Erdogan’s attempts to ban Twitter back in 2014. An associated perspective is that the Internet giants are the next ‘too big to fail’ corporations. When we talk about ‘too big to fail’, we think of the big banks and the Great Recession. ‘Too big to fail‘ of course relates to when the failure of one or more major corporates threatens the stability of a country and a government just has to intervene. It takes just a few seconds reflection to see that, in the future, the problem might not just be related to banks and financial institutions. The potential instability that the failure of a technology giant could bring is easy to conceive. OK, now it seems totally implausible that any of the major technology giants could fail, but the annals of corporate history tells us that even the great could possibly face their own future crises. The real issue is that countries across the world are recognising the infrastructural power and influence that these corporates hold, which indicates that at the minimum, an era of heightened regulation and control could beckon. Will we need an Internet passport? We often think that the world-wide web is just that, a globally free Internet. The hope, at the dawn of the Internet age, was that the Internet would remain totally free and would hasten the spread of a totally democratic world. But it isn’t working out that way. The fact is that Internet freedom is declining. Few probably are aware of the shocking statistic that 47% of Internet users live in countries where access to the social media or messaging platforms has been temporarily or permanently restricted. Worryingly, the trend is appearing for some governments to tighten their control over the Internet and even engage in ‘astroturfing‘ or manipulating the information that we access. Even actions taken by more liberal states could lead to a divided Internet where one scenario would be that a ‘passport’ would be required to access or publish information in a different ‘Internet region’. Will the Fourth Industrial Revolution be socially acceptable? The fourth industrial revolution embraces technologies that range from 3D printing and artificial intelligence right the way through to genome editing. And its effects will be massive, many positive, but many potentially destabilising. As I’ve written before, the impact on people’s jobs, even the once secure professions, could be a major destabilising force. Opinions are mixed. Some say that this new wave of technology will create more jobs that it displaces. Others warn of the scale of job losses. The critical and most difficult question to answer is how long it will take for those whose jobs disappear to transition to new meaningful work? In other words, what will the time gap be between job destruction and meaningful job creation? If the the gap is large and hard – could this experience fundamentally change society’s attitude towards technology? These are just three of many questions to consider when you’re thinking about the future of connectivity. There are others, including the position that the next war won’t be fought using tanks or planes but over the Internet, a scenario that we know little about and that has no rules of engagement. The point is, that accepting popular thinking that connectivity will just get better and better into the future could be a dangerous one. Some may think that all this sounds rather bleak and isn’t the way to think about innovation. Right and wrong. Yes, it does look challenging. But all this can be the foundation of really innovative thinking that can help you to succeed in a range of different future worlds. When you think about innovation, try to accentuate both the positive and the negative and you’ll be surprised what you find! ← Are You Ready for the Super-Sized Super Competitor?